Fri., Feb. 1, 2013, 7:13 p.m. When federal authorities arrested developer Gregory Jeffreys Tuesday at the Spokane International Airport, he was carrying documents in his briefcase that investigators say outlined yet another scam designed to lure investors into giving him money for a $1.6 million “opportunity” in Las Vegas. Jeffreys, 53, appeared today in a contentious hearing where U.S. Magistrate Judge Cynthia Imbrogno ordered him held in the Spokane County Jail without bond after declaring he posed an economic and physical risk to the community. The judge also chastised Jeffreys for openly violating her order when the judge caught him talking with his co-defendant and lover, Shannon Stiltner, during the hearing. Imbrogno made her ruling following arguments by Assistant U.S. Attorney Sean McLaughlin who revealed the newly discovered documents in Jeffreys’ briefcase. “The notion that Mr. Jeffreys stopped this activity is nonsense,” McLaughlin said. 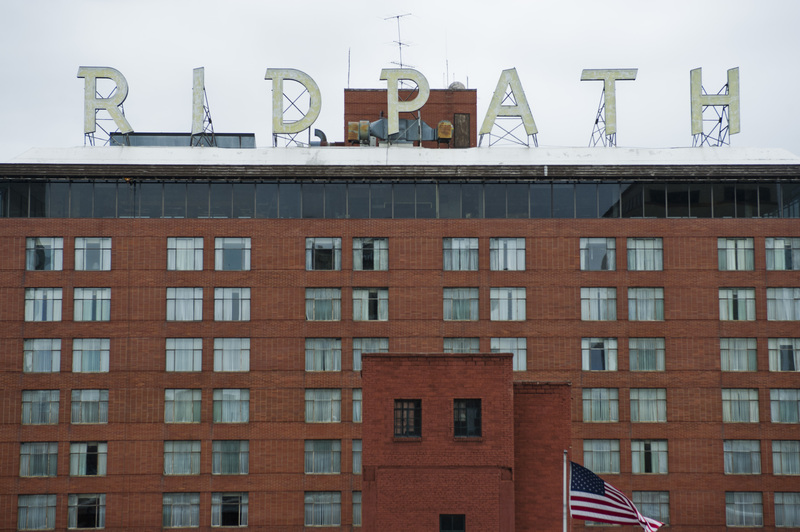 Jeffreys, who has largely been blamed for the legal and financial debacle surrounding the Ridpath Hotel, faces 73 felony counts of fraud and money-laundering charges in which federal prosecutors allege he, Stiltner, and his wife used forged documents to defraud banks and others to invest in buildings that often didn’t even exist. Also charged is his wife, 53-year-old Kimberly Jeffreys, who faces 25 felony charges. She posted 10 percent of a $150,000 bond and was released from jail Friday morning. Imbrogno reset Stiltner’s bond to $220,000 but she remained on the jail roster late Friday. Most of the older charges involve the Jeffreyses, who remain married. But McLaughlin said in court records that the marriage “is at best, strained” based on evidence showing Gregory Jeffries and Stiltner have been living together for some time near Las Vegas. Court records detail a series of complicated financial transactions starting in 2009 when Gregory and Kimberly Jeffreys received $1.8 million in federal stimulus money to build the Military Entrances Processing Station in Airway Heights. McLaughlin said the couple used that money to secure two multi-million dollar loans from banks while at the same time soliciting $1.35 million from private investors. In the end, the Jeffreyses pocketed most of the $1.8 million for personal expenses, including gambling forays, according to court records. Defense attorney Mark Vovos said he’s at a disadvantage arguing for his client’s release when he hasn’t been able to review the evidence in the case. He described Jeffreys as a self-made business man who does not drink. Some of the 400,000 pages of documents describe what federal investigators called a Ponzi scheme that worked by having Jeffreys and Stiltner use forged documents as a basis to solicit investments for several buildings in San Francisco, Coeur d’Alene, Denver and Mullan, Idaho, that didn’t exist. “The Ponzie scheme victims were not ‘babes in the woods,’” McLaughlin said, parroting a quote Vovos gave Wednesday to the Spokesman-Review. “Most if not all of the victims were elderly” who lost substantial portions of their retirement and life savings. He described Jeffreys and Stiltner as living “rock start lifestyles, if you will” off of the proceeds from their fraudulent deals. Federal agents in July 2012 raided Jeffreys’ mansion, which Vovos said built 20 years ago and includes more than 10,000 square feet of living space on three plus acres. When federal agents raided the home, currently listed for sale $1.28 million, they found more than 70 guns, including a sawed-off shotgun that resulted in a felony charge in addition to the 73 fraud-related charges. Speaking to the judge against the advice of Vovos, Jeffreys said he found the illegal shotgun during the construction of the home. However, McLaughlin said federal investigators have evidence showing that Jeffreys has been traveling to several states to sell his gun collection, in apparent violation of federal law. It’s through those multiple contacts, including some abroad, that cause federal authorities to believe he may flee the area if released from jail, McLaughlin said. “We feel he is a danger to the community and a substantial flight risk,” he said. Jeffreys “directed Ms. Stiltner’s mother to tell (a victim) the he would be out on Friday and he would be visiting him, in disregard to the judge’s order. Vovos said he’s not aware of a single police report or restraining order documenting any of the threats McLaughlin mentioned. Published: Feb. 1, 2013, 7:13 p.m.